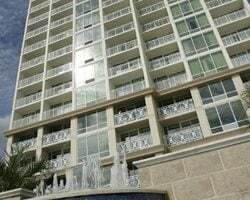 We've helped thousands of Diamond Resorts timeshare owners to sell or rent their timeshare, and found countless timeshare buyers and renters their dream Diamond timeshare purchase. Let our experienced timeshare resale specialists help you—their advice is free, and there's absolutely no obligation. Fill out the form to the right to learn more about our services and how we can help you. Looking to Sell Your Diamond Timeshare? We can help! SellMyTimeshareNow.com offers budget-friendly solutions to getting your Diamond ownership advertised and sold on the resale market stress-free. 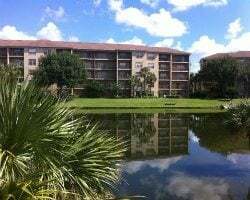 When buyers and renters are searching online for luxurious Diamond timeshares for their vacationing needs, they come to SellMyTimeshareNow.com. So what better place to have your Diamond ownership advertised for sale or rent than right here? The Diamond timeshare brand boasts a wide variety of vacation ownership products. With SellMyTimeshareNow.com, you can purchase a timeshare resale for up to 70% off retail prices and become part of the exclusive Diamond Resorts International® network. Our Diamond specialists can help you with any questions you might have about renting or purchasing Diamond timeshares on the resale market. Whether you simply want to browse our extensive inventory, or you would like to speak to one of our experienced Diamond resale specialists, we’re here to help. We have the skills and the knowledge to help you find the type of Diamond ownership that is right for you! The Diamond resort network currently offers three types of vacation ownership packages in order to provide a fully customizable program. The Diamond network is backed by more than 25 years of successful resort development and management, as well as the trust of over 490,000 owners and members. The three types of vacation ownership currently available include: THE Club Diamond—a points-based membership system providing access to all Diamond Club Resorts and affiliated resorts; DRI Collection/Trust Points—points-based memberships limited to a specific "collection" of regional Diamond vacation resorts; and deeded Diamond timeshare ownership at a single resort. Find out more about Diamond Resort points and Diamond weeks to decide which type of ownership you would prefer. Diamond Resorts® is one of the world's most esteemed timeshare companies — and it's easy to see why. Don't hesitate to start investigating the benefits of owning a Diamond timeshare or to start planning your first resort vacation. Regardless of your budget, we have great deals on timeshare resales and Diamond vacation rentals—and we can help you save up to 70% off your purchase or rental price! Find out more information about the brand's flexible timeshare points program. Learn about Diamond's most traditional form of vacation ownership. Explore the nearly endless vacationing options available to Diamond owners with their timeshare exchange program. See how to become a Diamond timeshare owner easily and at an affordable price when you buy a timeshare resale. Browse our incredible collection of timeshares for sale at discounted prices. Try renting a Diamond timeshare before you buy for the chance to experience vacationing like a timeshare owner without the added cost or commitment. 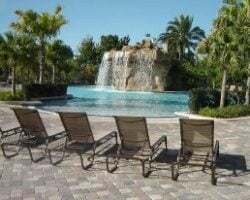 Search our extensive inventory of Diamond timeshares available for rent. Already Own a Diamond Resorts International Timeshare?